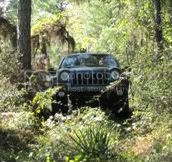 LOST JEEPS • View topic - jeep patriot for the wife ??????????????? jeep patriot for the wife ??????????????? Post subject: jeep patriot for the wife ??????????????? ok so my wife is complaing that her 2003 honda accord v6 with 103,000 miles is "getting old" and whe wants a new car i think the accord has plenty of life left but we are looking into what is out there. she said she wants a 2012 grand Cherokee but thats is way out of our budget right now. 2012 Hunday Elantra i know hunday has come a long way the past few years but to be its still a hunday. My Wife is a Reading teacher; if she can overlook my spelling, so can you. Post subject: Re: jeep patriot for the wife ??????????????? Have you looked at Subaru? The outback gets around 22/29 MPG. They have always been as dependable as a sewing machine. not the out back but my sister got a 2011 subaru and was in a horible car accedent 6moths later she walked away with out a scrach and now drives a 2012. my family thinks subarues are great cars and actuly sent a thank you letter to the company for building such a safe car. What about a Baby Grand, erm, Compass? The CVT in the lil Jeeps is supposed to have a low range mode, but it's not as low as what you get with a transfer case. Is the patriot or the compass the jeep platform of the caliber? If so, I bought a caliber new and just traded it in for my CRD. As for the caliber, it had blind spots galore. That may just be the body style. The CVT was nice. Just felt the TC lock up and that's it. Fuel milage was OK. 100k on plugs, and easy to change. Only issues I had were tie rods wore out fast, though the replacements seem to be much better. Also had a wheel bearing go early and replaced. Oh and a ABS wheel sensor. Had the car for 130k and didn't take the best care of it and it ran great. I didn't love the thing like I love my CRD, but it was OK. The caliber and the compass are the same vehicle, just slightly different bodies, it just depends on if you want the dodge or jeep. If I remember correctly the dodge did not offer either 4wd or awd where the jeep did. When we bought my wife's new car in 2011 we were seriously looking at both of those. We didn't look at the patriot but I think I heard that it is the same platform just with the suv body. We ended up not buying either the compass or the caliber feeling that they were both under powered. The first years of the Caliber did have AWD, and it was only on the R/T with the CVT. That is what I had. With a set of 4 snow tires, that thing went awesome in the snow. Thanks for the clarification. I knew one of them was the same platform. My brother and his wife have an '08 Patriot 2wd. They love it so much they didn't trade it in even though they bought a minivan for their growing family, and he now uses it to commute to work. He gets over 30 mpg on the highway. The patriot does come with a 4wd option, which probably reduces mileage by a few mpg's, but I bet it's great in the snow. The ground clearance is pretty significant, better than most crossovers. The Compass and Patriot both use the Chrysler MK platform, MK49 and MK74 respectively. While the Caliber is on the PM platform. All of these are derivatives of the Mitsubishi/Chrysler GS platform. Kinda like the looks of the Dodge Journey. I try to imagine them lifted when I see them on the road. I'm guessing that due to your local the one you picked up is not all wheel drive.